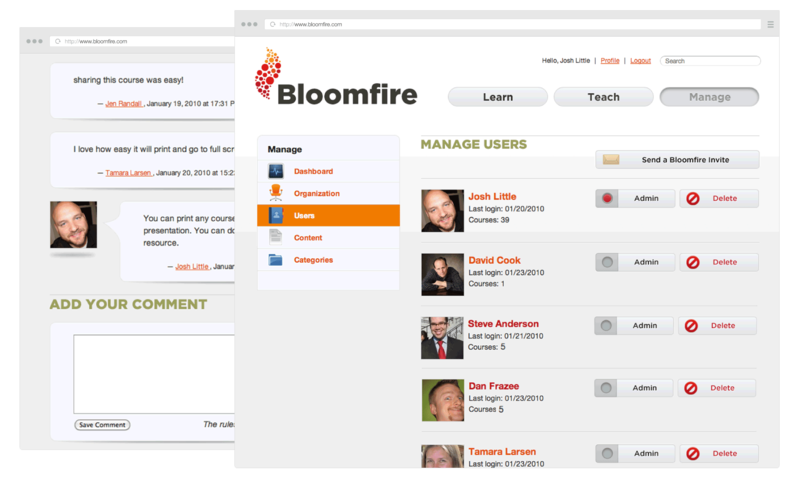 Bloomfire creates a company-wide social learning network where employees can store and share knowledge. Atomic helped founder Josh Little select his market, create a user-focused product, and launch on time and on budget at South by Southwest. Josh Little, founder of Maestro eLearning, noticed a common challenge in many organizations: formal training just can't keep up with demand. In fact, most employees don't learn what they need to know through company training — they learn it from coworkers. And these isolated lessons can't be captured, harvested, or shared within an organization. Josh wanted to create a social learning network for businesses, a place where employees could ask questions and share knowledge and expertise easily. He asked Atomic to help him strategize and create the platform, which he called Bloomfire. 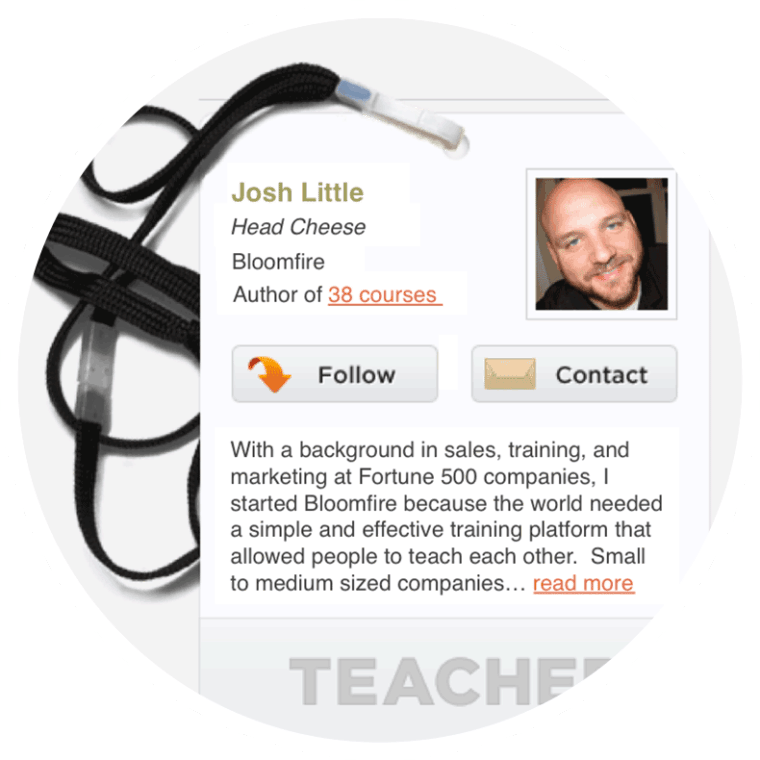 Bloomfire allows everyone to be both learner and teacher. 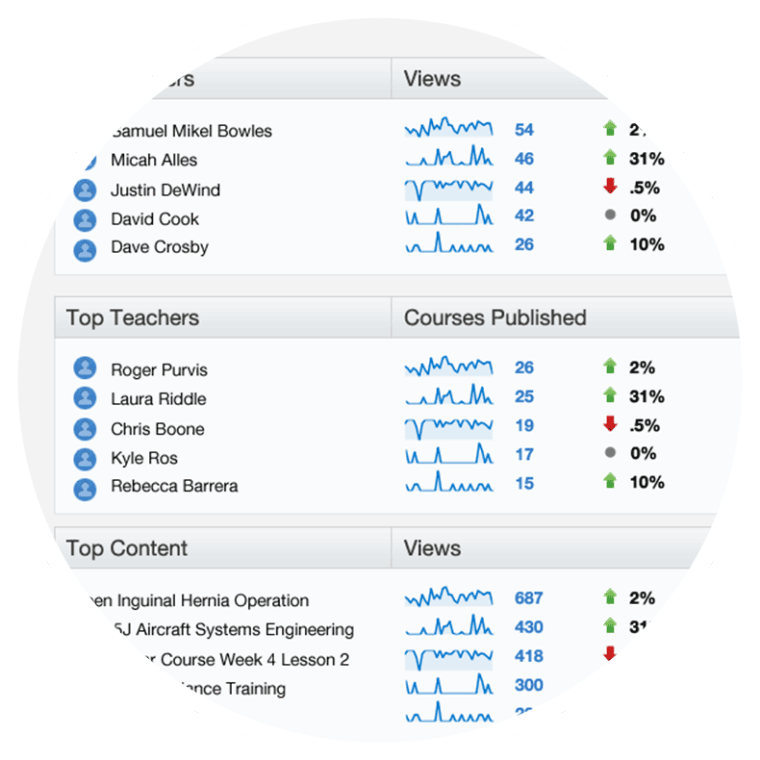 Employees can create “courses" of uploaded content, including slides, text, video, and screencasts. Bloomfire even has built-in browser webcam integration to make screencasts and video easy. 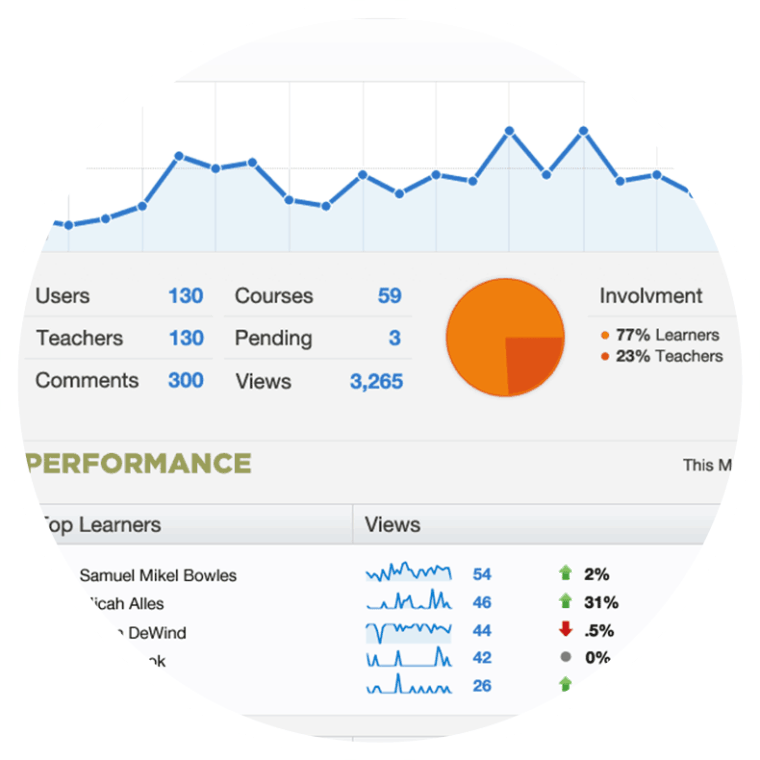 Employees can then review the lessons their co-worker have created, follow favorite teachers, and leave comments on course materials. Behind the scenes, the app allows admins to manage users and content, while also collecting valuable analytics on how the site is being used. 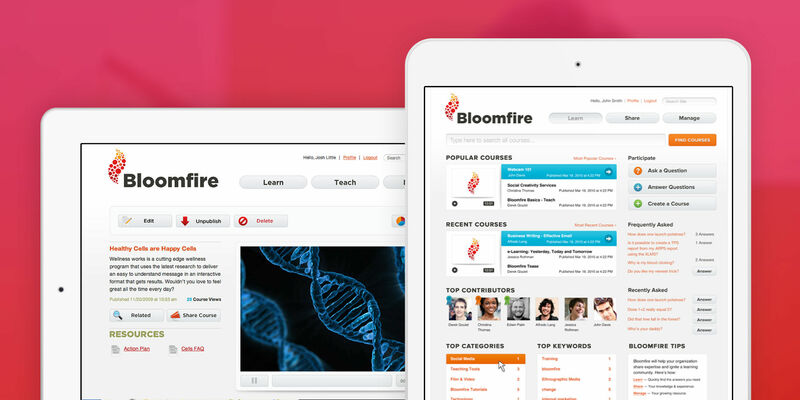 The original vision for Bloomfire was much broader than a social learning platform. But Josh asked Atomic to help him focus and funnel that vision into a unique, viable product. Based on Josh's subject matter expertise in corporate learning, the Bloomfire/Atomic team developed provisional personas and used them to create a story map of high-level features. Atomic also did preliminary design for a set of interfaces, which allowed us to fine-tune the scope and budget before development began. Josh wanted to present Bloomfire at a series of industry trade shows, so we had to meet a series of hard deadlines. By using a test-driven approach, the team was able to confidently add features right up to each major release point. We had a cohesive feature set for each milestone up to the ultimate unveiling at South by Southwest.